Midnight Crossroad (A Novel of Midnight, Texas Book 1) - Kindle edition by Charlaine Harris. Literature & Fiction Kindle eBooks @ Amazon.com. Switch back and forth between reading the Kindle book and listening to the Audible book with Whispersync for Voice. Add the Audible book for a reduced price of $11.99 when you buy the Kindle book. I really enjoyed this book and will be buying the next one. I do want to say when i was buying the kindle version it said length was '2 ' pages, i knew this was probably an error , BUT I have been fooled before thinking I'm paying for a full length novel and have gotten a 50 page novella. If anyone else seen this and was wondering, yes it's a full novel ( not sure exact number of pages) yes 2 pages is a typo. Hope this helps if someone else was wondering. Like The Magicians, I'm glad that I watched the television series version of this story before picking up the books. However, unlike The Magicians, it wasn't because the screen version fixed things that I hated about the books. In this case, it was purely because writing for screen is different than writing for the page. A direct translation of this novel would not have worked. In book form, this is a story of a small, sleepy town, told in a small, sleepy narrative. Things definitely happen, but at a small, sleepy town pace that would have dragged on-screen. 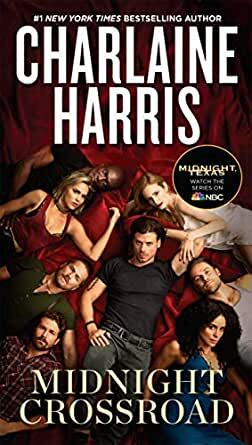 The show is straight-up urban fantasy excitement, while the book reads more like a rural cozy mystery with some fantastical elements. I'm honestly not sure I would have continued the book without the curiosity of how the story would differ and remain similar to what I'd already seen on TV driving me. I'm definitely curious about whether the character's backstories already revealed in the show will be different from what's in the books. I appreciated the increased diversity of the show version of the characters. Fiji and Lemuel, especially, seemed bland in comparison in the original text. I'm excited to start the next book, which I've already ordered and received. But I'm much more excited for season 2 of the show next year, and I'm crossing my fingers that I get one. 2.0 out of 5 starsSlow and painful--I hope the TV show isn't this bad! Okay, I really hate it when well published authors put out material that is below par and it still gets published because they've been published already and it's been great in the past. 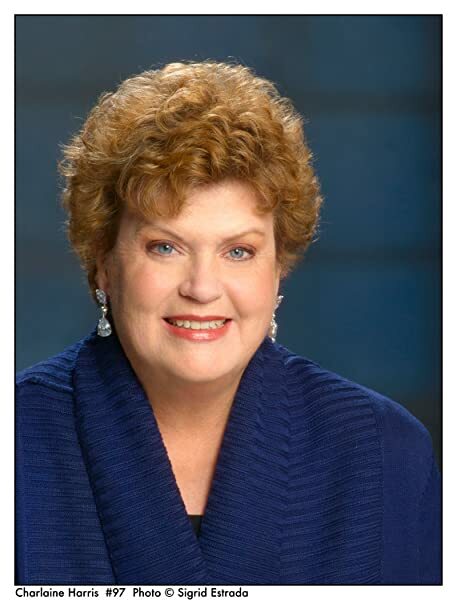 Charlaine Harris is a wonderful writer. You can tell she's a good writer. This book however is BORING. She excels at creating multifaceted and interesting characters, good dialog and great small town settings with depth. This plot though...arrrggg. There's no major conflict, and the publisher/editors let her get away with rambling on and on about the town and the small ins and outs of small town dinamics. Then, an interesting hint is dropped about one of the characters...then nothing. Show me the conflict! Another issue I had with this was the point of view it's written in. It's 3rd person and I would have to say it's omniscient. It's distancing and feels a bit awkward. I had a very hard time sinking into the characters as this felt like it was almost more of a screenplay instead of a novel. I could adjust to the POV, however the lack of plot kills it. I couldn't force myself to finish it. 4.0 out of 5 starsMidnight, Texas - a place for the ? Just finished Midnight Crossroads, the first book in the Midnight, Texas series. It's a fairly interesting novel that was made into a current television series. Does the series match the book? Not really. In the TV series, Manfred seems to be the Star. In the novel, every character has their place, but I'd say Bobo and Figi are the two main book characters. 1. Manfred's Grandmother isn't really a character in this book. Where in the Series, she's a main driver of the story. 2. Manfred has a trailer in the series, in the novel, it's other characters whom live in a trailer. Those being Madonna, the owner of the restaurant, together with her baby and lover (Teacher). 3. Teacher is not a character in the series. Well he might be on the sidelines, but that's all. 4. There are hints in the book that the Rev is a were-animal. But he never transforms into a Tiger, like in the TV show. 5. Figi is a full figured White woman in the book, while in the television show she's a thin African-American woman. Note: having her African-American in the TV series could have worked better because of the evil White Supremacist subplot, but it wasn't used. Her being White was used in the book when she was kidnapped. I think if she was Black, she would've been beaten or killed by her kidnappers. 6. In the book, both Joe and Chuy appear to be some type of Angel, but in the TV show, only Joe is an angel, a fallen angel. 7. There's no "thinning of the barrier" in the novel, just in the show. 8. Manfred and Creek don't have a thing in the novel, but in the show they're lovers. And many of the events in the show don't occur in the novel. For example, there's no band of vampires, nor an attacking succubus (but there is a woman in the novel who has a glamour of beauty when she's actually an old hag - but she doesn't go around killing people). I admit we may find out more when the final episodes air. I know that there's one key event coming up and I won't spoil that (it's the answer to the main mystery). I'd recommend these books, they're fun, and for those who miss True Blood, they're a fair replacement. 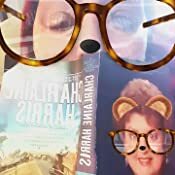 Charlaine Harris does a decent job of creating a small town of quirky, interesting characters, but the problem with this book is that it's not exciting. There's a mystery, but not a particularly gripping one. I'm glad I bought the Kindle version because it doesn't deserve physical space on my bookshelf.